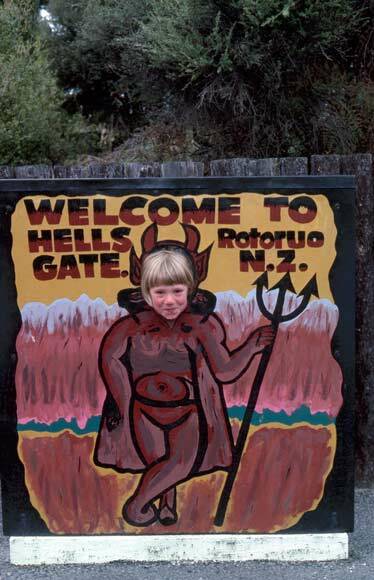 The thermal area at Tikitere, also known as Hell’s Gate, is the most active in the Rotorua district. It has long been popular with visitors, and attractions have names such as ‘Sodom and Gomorrah’ and ‘Map of Australia’. The hot-water Kākahi falls are named after a chief of Ngāti Rangiteaorere, the owners of the reserve.